What’s your favourite McDonald’s order? Everyone has their favourites when it comes to McDonald’s Tender Chicken McNuggets dipped in your choice of the iconic Curry Sauce, Sweet and Sour Sauce or BBQ Sauce sounds really great. 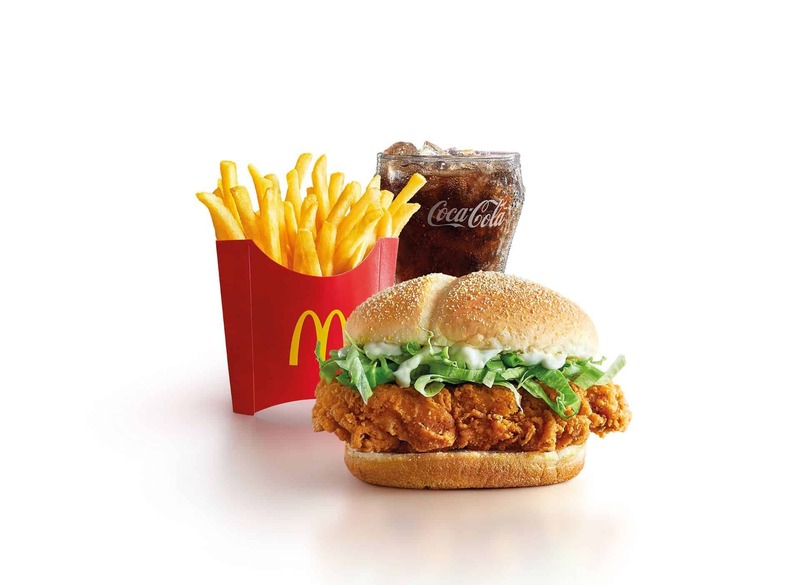 Or how about the hot and addictive Spicy Chicken McDeluxe burger that keeps people coming back for more? When it comes to dessert, the McFlurry with its smooth vanilla soft serve and crunchy Oreo bits is just perfect to end off your meal. What’s your favourite McDonald’s order? Sink your teeth into McDonald’s wide variety of Bundle Meals collection made of quality ingredients for a burst of flavours that’ll tantalise the taste buds. Ayam Goreng McD Bundle: Decide on the number of people you want to order for from 2-3pax to 4-5 pax. 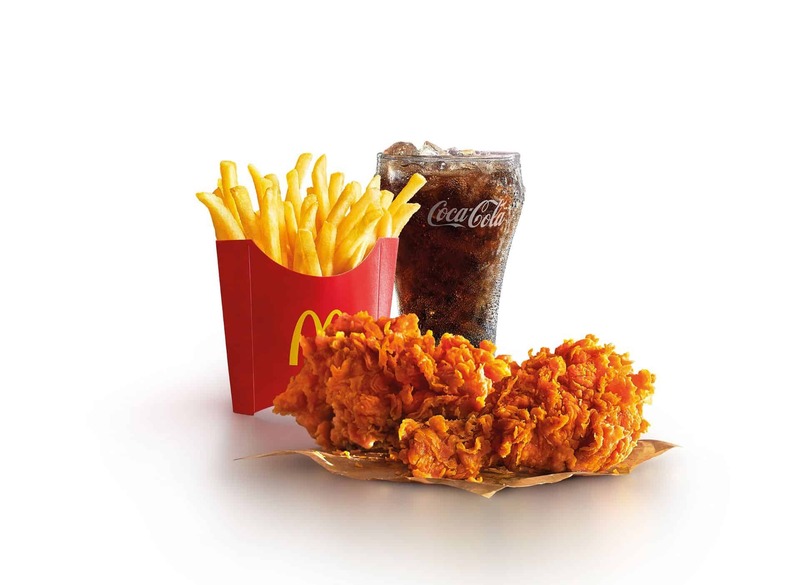 You will get the classic Malaysians’ favourite Ayam Goreng McD (Spicy/ Regular), up to 20 pieces of Chicken McNuggets, golden brown french fries and beverages. Chicken Bundle: Experience a melt-in-your-mouth sensation as you take bites of these classic bundle! The meal consists of a timeless McChicken, a crowd favourite Spicy Chicken McDeluxe, Chicken McNuggets, French Fries and ice-cold beverages. Enjoy the platter to the fullest. Beef Bundle: This bundle is for beef lovers who are looking for a good mix of the best beef products in Mcdonalds. In this set, you can get all the favourites in Cheeseburger, Double Cheeseburgers and a Big Mac. Top it all of with Chicken McNuggets, golden brown French Fries fried to perfection and ice-cold beverages, it would be sure to leave you satisfied. Not looking for a meal? McDonald’s have you covered in their dessert selections. McFlurry’s has been a mainstay in McDonald’s fans in the form of Oreo McFlurry. Now, they offer flavours like Salted Caramel, Strawberry and Black forest. If the standard size is not enough, try the McFlurry Party – a larger size McFlurry that you can share with your friends. Sundaes are also served in flavours like chocolate, strawberry and now, salted caramel! Talk about a spread of choices for desserts to make every sweet tooth smile in delight. If the menu above is not comprehensive for you, Mcdonald’s also serves up breakfast and can deliver it to you during breakfast hours. Hotcakes with Maple Syrup, Big Breakfast, Sausage McMuffin and Egg McMuffin are classics McDonald’s breakfast choices along with a delicious hashbrown and a Breakfast Drink for that perfect pick-me-up! Do look out for some new additions like the Crispy Chicken Muffin or Brekkie Wrap with Sausage if you want to try something new from our all-time favourite fast food restaurant. Perhaps you overslept and there’s no time to prepare breakfast, or you have a late night sports match to catch with your khakis. Maybe you have a party to throw or you simply just don’t feel like cooking. Regardless of the occasion, McDonald’s is the perfect solution for a quick, convenient and delicious meal that is perfect for sharing. With the GrabFood app, it’s so easy to order your favourite McDonald’s delivery.